If you have a car dashcam, you will need to install a microSD card in it to store its video recording and emergency photo taking. 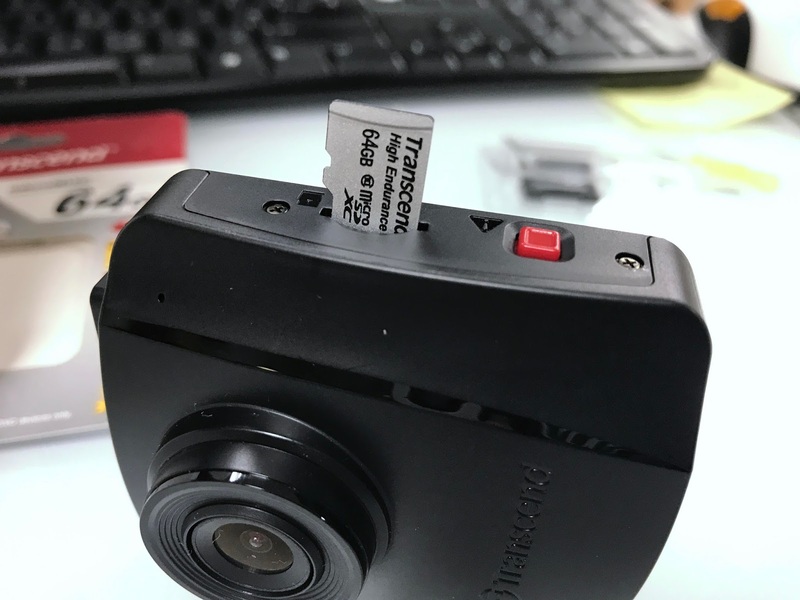 Most people found that the microSD card installed in their dashcam is unable to last long and will be unusable within a few months of usage. Why? In fact, ordinary memory cards are not designed to be used in tough working conditions in your dashcam. The memory card for dashcam needs to be able to endure the sunlight heat entering and developed in the car. 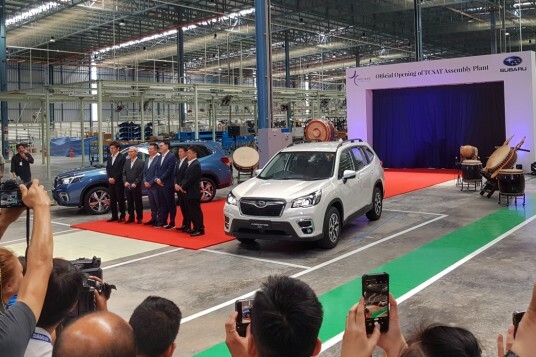 At noon, when your car is parked in uncovered place, its cabin temperature can easily go above 35 degree Celsius and can possibly go beyond 65 degree Celsius if your car is non-tinted and stays for long hours under hot sunlight. Besides the endurance for high temperature, it will need to have high number of rewrite cycles for its lifespan. Whenever your dashcam is working, it will keep on recording videos into your microSD card. 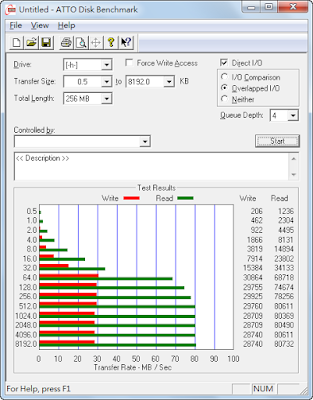 When the microSD card is used up, older videos will be overwritten by new records, and the rewriting will occur. 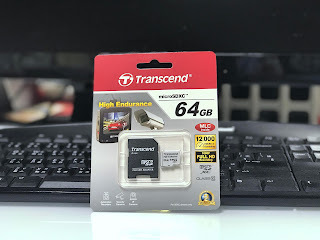 Therefore, you need high endurance microSD card that can fulfill all of the above conditions to work in your car dashcam. 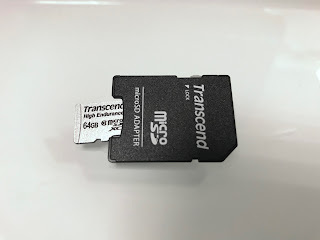 Today I will present 64GB micro SDXC card manufactured by Transcend designed for 24/7 work in monitoring devices and all other devices when is required higher durability. 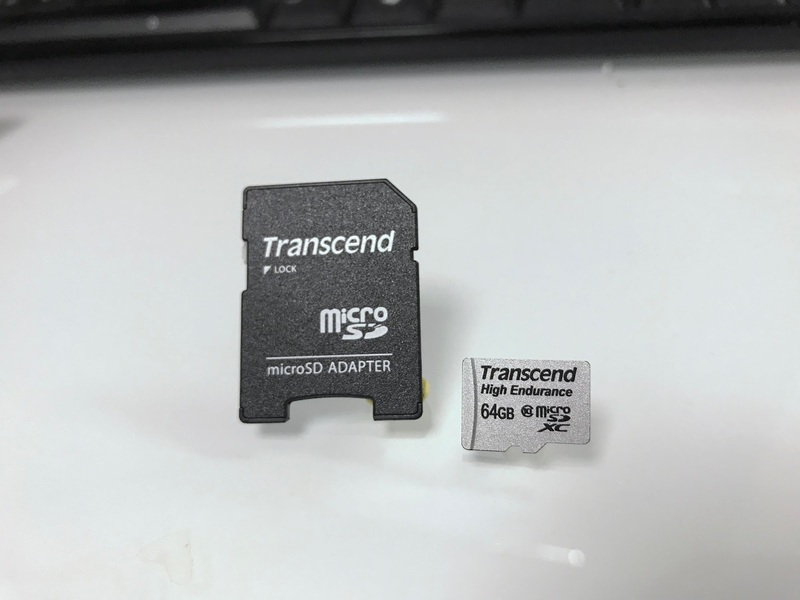 The Transcend high endurance microSDXC card has quite a different look in silver, different from the common black color which most Transcend microSD cards are. Transcend also uses these cards for their own DrivePro dash cameras. The memory card is packed well along with the microSD adapter. This saves you the trouble of having to purchase one separately. Class 10 cards are designed for a minimum sustained transfer rate of 10MB/s and the manufacturer claims that Transcend High Endurance microSD offers up to 21 MB/s transfer speed. This claim was found to be true in ATTO Disk Benchmark. I think the best way to test a memory card would be to actually make use of it. I tested this card in my DSLR which I generally use to shoot videos and there was no issue. When I connected the camera to the computer, the images were almost instantly accessible without much loading and processing time. 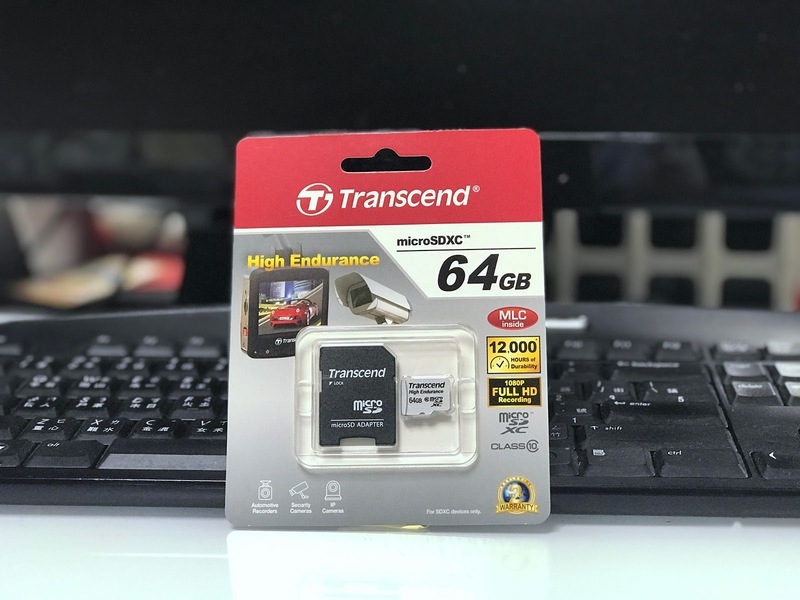 This high endurance microSD card is an excellent balance between price and durability. I recommend it for your dash cams and home video monitoring cameras. Finally, after all these years, I just got a Dashcam and if the current microSD card fails, I will try to look for this model.